A photo booth, by nature, is an attraction that commands a lot of attention. When you are planning a party for any purpose, you want something at that party that will get people talking, having fun, and gathering together. 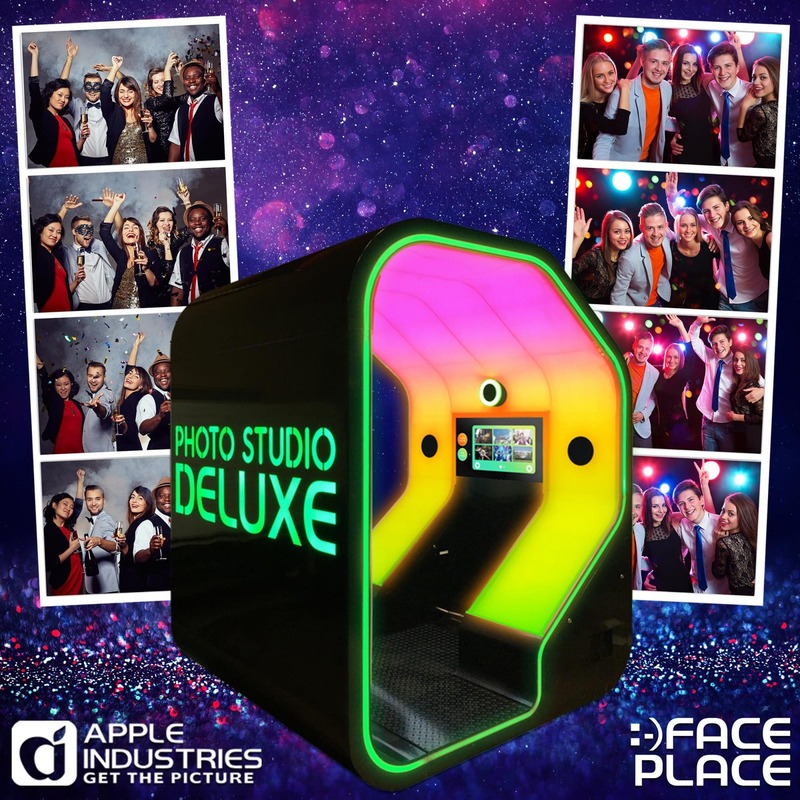 Face Place photo booths are versatile and the modern photo booth is the top coin-operated amusement attraction in the world. There are many different ways that a Face Place photo booth can be the life of any party. All Face Place photo booths come with Smile 2.0 editing software that has hundreds of editing options for your guests to enjoy. If your party is a theme party, then you can offer the ability to edit pictures to match the theme. For example, if it is a Christmas party then your guests can use the Christmas editing features to make their pictures match the event. When a party is over, there is nothing more disappointing than to see shaky group pictures that are blurry and off-center. A photo booth makes sure that every group picture taken at your party is not only perfect, but delivered in high-definition as well. Group pictures taken in a photo booth are also not skewed to one side because one person is trying to hold the camera high enough to get everyone into the picture. Photo booth group pictures turn out perfect, and that is what your guests want. People are going to post to their social media pages during a party. That is just what people do. But when you check out those posts the next day, the shaky pictures can often leave everyone disappointed. With a Face Place photo booth, your guests can take their high-definition pictures and post them right to their social media pages. They can also share their pictures through email with anyone they want. When everyone is having a great time at your party, there are going to be guests who want to have more than just pictures to remember the event. That is why a Face Place photo booth is ideal for any party because your guests can order their party pictures on t-shirts, hats, and a wide range of other gifts that they can have forever to remember the great time they had at your party. Planning a party can be difficult, but the end result is to try and make it as fun as possible. When you include a photo booth in your plans, you are guaranteed to get an amusement attraction that will make itself the life of your party. The fun and versatility available from a photo booth is something that your guests will remember for many years to come. The clear and stable pictures they take with the photo booth will also be another reason why the photo booth made your party the hit of the year.